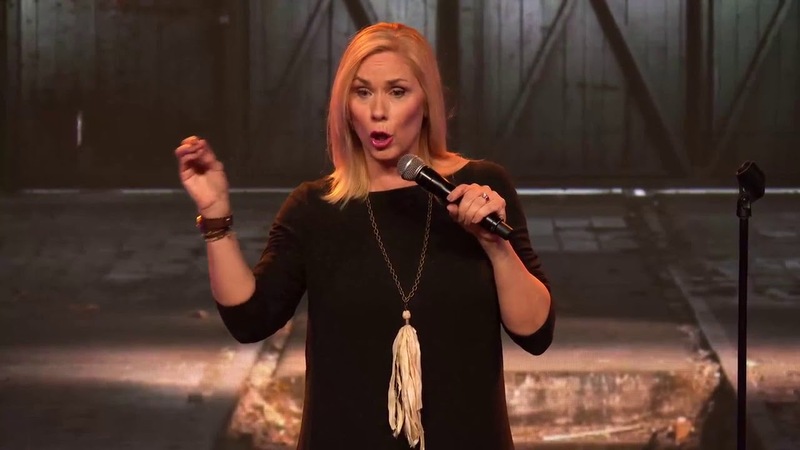 More often than not, comedy is characterized by foul languages that may not be acceptable at church events which makes it hard to incorporate comedic routines where there’s a Christian activity. Notwithstanding, there are a few rare breeds of comedians who dish out clean humor without compromising the ability to leave their audiences in stitches. In other words, the best Christian comedians are also funny without all the worldly profanity as often seen among other comedians. So, the next time you are invited to a church program, don’t think it will be all serious about heaven and hell. Bear in mind that there might be some comedy skit prepared to entertain the congregation. Even the bible says there’s a time to laugh – Ecclesiastes 3:1-8. They may not be the most popular in the field but these comics are just as good as the ones dominating the industry. They bring people together with diverse styles of comedy which relates to most things we encounter in our daily activities. Since laughter is the best way to relieve the mind of stress and mental fog, a little comedy is needed every once in a while and for every event. Be it for the youths, any reserved group or organization, there’s a long list of Christian comedians to pick from. Let’s introduce you to this special breed of comedians called by God to make His people laugh even at their lowest points. He got his start as an entertainer and a stand-up comedian at nightclubs and also took up some warm-up stage roles on shows before he ventured into acting. As an actor, Ron has had guest parts on sitcoms like Mama’s Family, They Came from Outer Space, and Brother’s Keeper. He also appeared in movies like Midnight Cabaret, Little Black Book, The Incredible Burt Wonderstone, and Lena’s Holiday. Ron has also anchored several TV programs and game shows which recorded him as one of the youngest emcees in the 1980s and 1990s. He had a featured spot on the multi-comedian DVD, The Apostles of Comedy followed by another on the triple comedian DVD, The Apostles of Comedy: Onwards and Upwards, all to critical acclaim. A born-again Christian, Ron Pearson is one of the best Christian comedians to consider for an event. He is exceptionally good with a gathering of families looking to be entertained with clean humor that will not cause any discomfort. He presents his unpolluted jokes to make audiences laugh without making them feel like they are being judged. Also, as a world record juggler, Ron puts his juggling skills to good use when entertaining any gathering. “The Queen of Clean” and “The Country Comic” are a few of the titles that Chonda Pierce has earned for herself due to her effortless clean humour which she has dished to several audiences in the past few decades. She is one of the best Christian comedians who use the various challenges they face in life to crack side-splitting jokes. Chonda has 10 successful albums which include 5 DVDs certified Gold and 3 DVDs certified Platinum by RIAA. Also to her credit are 8 books, including Laughing In The Dark. Apart from being a successful comedian and an accomplished writer, Chonda is also an actress and television host. She is a co-host on the Total Living Network talk show, Aspiring Women as well as on Country Music Television’s This Ain’t Prettyville!, both of which got her five Daytime Emmy nominations. The veteran comedian has a spot in the midst of top-selling live performers. 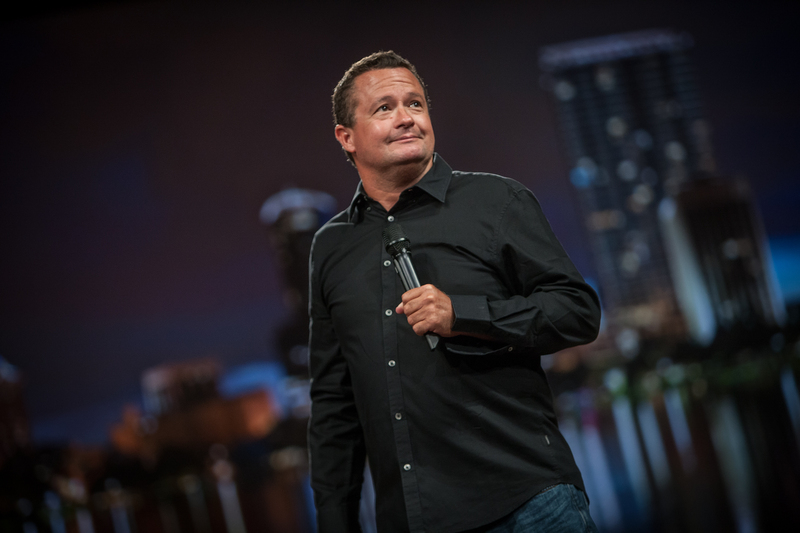 A stand-up comic, pastor, and family man, Thor Ramsey’s style of comedy is suitable for both Christians and non-Christians. He makes it easy for people from all walks of life to relate to his routines while performing on stage by turning the everyday challenges into hilarious jokes and proffering some equally funny solutions. The comedian once designed a BB gun to help people suffering from bad breath. Apparently, he wanted we all to be able to shoot in flavored tic tacs into any mouth oozing unpleasant breath. One significant feature of his comedic style is that he stays away from all the vulgar, dirty languages used by most secular comics without compromising the quality of laughter that comes from the audience when he mounts the stage. His career kicked off across social media platforms where he posted his videos which include musical parodies of popular songs. He maintained the feat as the most searched artist on GodTube.com for many years with his online videos garnering millions of views on YouTube, GodTube, and Facebook. Tim makes his jokes from the world around him and everyday life activities and, his ability to crack funny, clean, and relatable jokes touts him as one of the best Christian comedians you might want to see. This special breed of clean comedy may be remembered for his role in the film War Room but he had a rather unconventional debut as a stand-up comedian. As it happened, destiny came calling while Michael was out with his friends watching a movie in a theater. The projector developed a fault which caused the film to snap and the crowd didn’t find it funny. While they waited for the film to be restored, Michael’s friends dared him to mount the stage and keep the restless audience entertained with his jokes, and he did. He was so good at it that the theater management could not force him down, apparently, the audience wanted him to finish his routine. Michael has also appeared on The Tonight Show. For over four decades, Jeff Allen has been enjoying the perks of being in the spotlight. His films like Happy Wife, Happy Life, Revisited, and several roles in other comedy movies like Bananas, Apostles of Comedy, as well as Apostles of Comedy: Onwards and Upwards; are some of the works that he is mostly known for. He has also made appearances in comedy specials on Comedy Central, Showtime, and VH1. Jeff’s comedy is known to be very impactful, giving that he has encouraged millions of people with not just laughter but his stories about the challenges faced in marriages and how to fix them. Active for more than three decades, Mark Lowry has created a legacy with his multiple talents. He is a renowned comedian as well as an accomplished singer. Mark served as the baritone singer for the Gaither Vocal Band. Also, he is the co-writer of the Christmas classic, Mary Did You Know? The modern-day track has been recorded by more than 400 popular artists including Kenny Rogers. As both a musician and comedian, Mark Lowry has put together twelve albums. Born to a pastor, John Crist grew up in a Christan home and gradually started his comedy routines when he worked as the announcement guy in his church. He would turn the information to be passed on into hilarious jokes that kept people entertained in church. He is known for roasting people, especially Christians. This can be seen in some of his viral videos including Millenial International, Road Rage in the Church Parking Lot, Christian Mingle Inspector and Signs You Grew Up Christian. Although he also performs with mainstream comics like Dave Chappelle, Seth Meyers, and Trevor Noah, Crist has managed to keep his comedy clean, making him one of the best Christian comedians to watch. Being a mom is a blessing but it gets quirky often times when it feels like you are losing your mind. Leanne Morgan can relate to this as a wife and a mother. She uses those daily crazy moments that torment mothers to make hilarious jokes and have you laughing over things that are supposed to get on your nerves. After an experience with Leanne Morgan, exhausted moms go home in high spirits with fresh energy to carry on their duties in good faith. Her YouTube videos like Things you can expect when you get old, and When you have a mean baby are garnering up a lot of positive response on YouTube, especially from moms who find her stories relatable. His comedy embodies those priceless moments in life that makes you human. At some point in life, people get a feel of that embarrassing moment that makes them question their sanity. It comes in various forms like farting or falling in public, waving at people you thought you knew and what have you. These awkward moments in life have played a prominent role in the style of comedy that David has come to be known. His unique skills see him dish out clean family jokes suitable for all members of the family, including the kids. 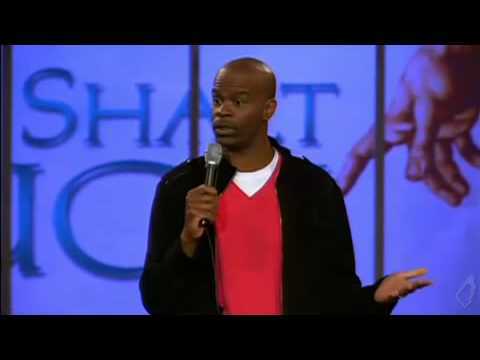 He is definitely one of the best Christian comedians to watch.